Direct relationships make a difference. Data-driven decision-making makes a difference. 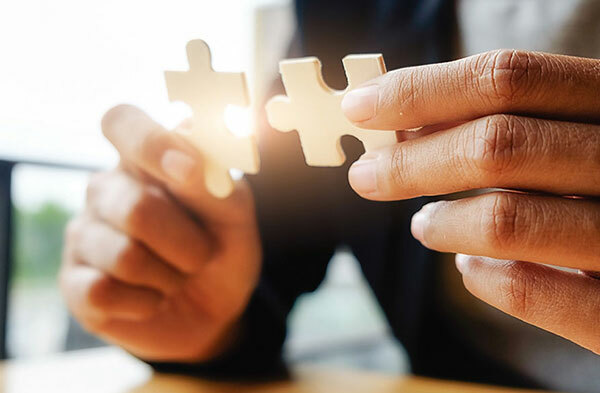 At Partnerize, we believe that driving maximum success from partnerships starts with squeezing every possible dollar out of your existing affiliate relationships. Our industry-leading platform helps you do that in a host of powerful ways. With Partnerize, you can work directly with your largest partners, instead of having arm’s length relationships through network middlemen. This helps you gain richer target insights, create bespoke programs, and even capitalize on new partner capabilities and technologies before competitors get them. Further, in-platform communications tools make direct relationships easier. Most affiliate programs use commissioning strategies that reward increased revenue. That’s great, but many ecommerce teams are tasked with other goals. Like profitability. Or increasing customer acquisition. Or driving LTV. Partnerize has the most flexible commissioning suite in the industry, enabling you to commission on any tracked event, and in more specific ways. We have clients that commission based on product margins, lengths of subscriptions, using special incentives for distressed inventory, and number of days in a hotel stay. Strategies like these enable you to align partner interests with your own goals to drive maximum growth. Leverage the power of proprietary Partnerize AI to simplify critical but repetitive tasks. Our Smart Forecasting offering enables you to predict the future performance of a partner at 95% accuracy. Smart Alerts let you know immediately if sudden changes in your data could signal threats to your revenue and conversion performance. Tenancy represents an important investment for your brand. 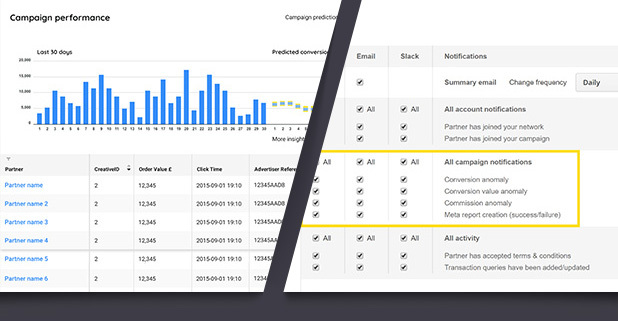 With Partnerize real-time data and insights, you can monitor click and conversion rates by placement and creative and adjust the tenancy mix based on rich, data-driven insights. Further, you can easily shift messaging and creatives for better results. With our exclusive AI-powered alerts system, you can spot and solve revenue, commission, and order issues more quickly, before they significantly affect your bottom line. These alerts, built on advanced data science and machine learning, can be programmed to reach you in-platform, via email, on Slack, or in webhooks. With our advanced tracking capabilities and next generation SDK, you can track every customer journey that includes mobile. Get credit for every sale you drive, and reward partners for mobile and cross-device conversions. Many brands today want to work with a variety of partner types, including content and social sites that impact the sales funnel well before the final click. To help you ensure that these partners deliver maximum results, we offer the option to commission or bonus these partners so you bring in more prospects at the top of the funnel. You can also exclude certain large partners from split commissioning where necessary to ensure maximum revenue and profit.